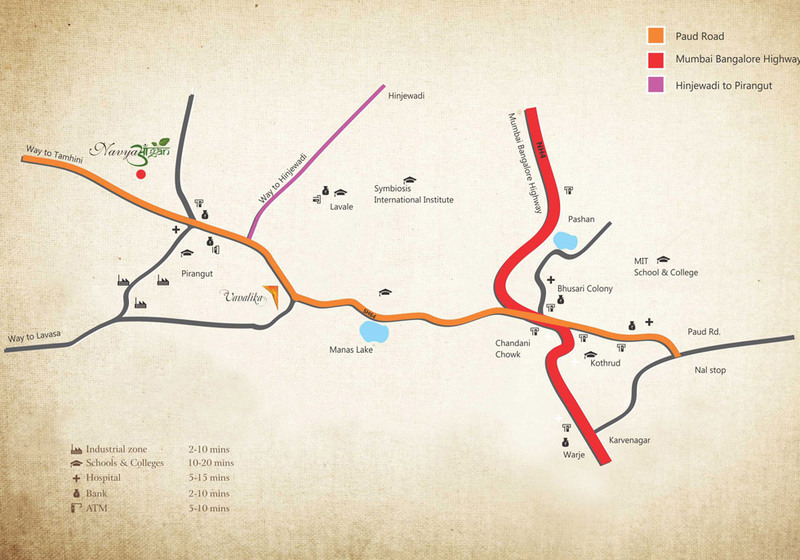 Navyangan Pirangut is a pre- planned residential depiction to get landed in Pirangut, Pune. This renowned real estate group has organized this project with number of grand residential options such as 1,2 BHK. These well designed accommodations are getting assembled in the area taking up from 226 Sq.ft - 360 Sq.ft. This lush hub of distinct residential configurations is directly accessed to and numerous transport services for public use. This enormous residential undertaking is offering a price segment starting from 15.76 Lakh - 25.75 Lakh. Powder coated aluminum sliding windows with MS grills and marble sill. Located at Gat No. 108 109,Kasar Amboli, Ghotawade Phata, Pirangut, Pune 412108, Maharashtra.